Our business brokers work hard to connect buyers with businesses where they can be successful and happy. For some, the solution is the purchase of an existing operating franchise with a known name, system of operations, specific track record, trained employees, existing customer base and cash flow--a business-in-a-box. Most people associate owning a franchise with fast food. Some outlets seem to be busy no matter where in the country you happen to be. We do like our coffee and snacks, don't we! Taking a snapshot of the franchises our Sunbelt Canada offices currently have for sale, you'll find that food-related operations -- coffee, pizza, fast food, restaurant, liquor stores, bakeries, smoothies, sandwich, bagel, ice cream-- make up almost half of the listings. Others—window treatments, beauty salons, and document destruction, for instance--address service needs at home or at work, at business or at play. However, there are franchises in almost every industry from recruitment to landscaping to building maintenance to consulting services to metal supply to education, and the list goes on. We represent some 50 franchisors (the parent company) in Canada and they represent one out of every 10 businesses we sell at Sunbelt Canada. Franchising is a fast growing area. According to the Canadian Franchise Association, franchised businesses account for 40% of all retail sales in Canada. That number is even higher in the United States, where Sunbelt's franchise sales company FranStop says that nearly 50% of all domestic retail sales in that country were from franchise businesses. Sunbelt is itself a franchise--we license the use of the Sunbelt name and the Sunbelt system of business brokerage that we feel works. For certain buyers, a franchise is a good fit. Franchising is a method of being in business for yourself, but not by yourself. From a business standpoint, a franchise is a known name and a system of business operation that teaches you how to produce and sell your product and/or service throughout your market territory. It is a proven system of business success that is teachable, trainable, reproducible and repeatable and that the marketplace responds to by purchasing your product or service. The individual franchisees are local owners/managers – a tactic to insure that the system is followed faithfully, allowing the success in one area to be duplicated and repeated in other areas. * if you buy an existing business, there is a greater than 95 per cent chance that the business will still be in business after five years (provided, of course, that you buy it right). When you start investigating the options, you'll soon find out that not all franchises are created equal. Under the standard arrangement, franchisees pay a franchise fee to purchase the franchise, they pay a royalty (a percentage of their gross sales) for access to an operating system and a brand name, which is how franchisors make money. They also pay an advertising fee that is used to offset the franchisor's advertising expense. The franchise fee can be substantial ranging from several thousand dollars to hundreds of thousands of dollars. Royalties generally range from 5% to 10%. Other costs can include rent, equipment, start-up inventory, operating licensing fee, insurance and possibly a grand opening fee to help promote your business. Keep in mind that you'll still need working capital and a reserve for unforeseen expenses once you're open for business. 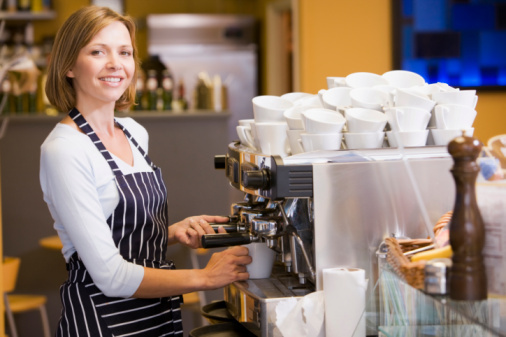 With new franchises the working capital requirement can be substantial. With some franchises, like Tim Hortons and Canadian Tire, you're only buying an income stream: when it's your turn to sell, you will only get back what you paid, not book value, and the parent company has to approve the buyer--it goes back into their system. You need to understand the dynamics at work before you walk down the aisle. Talk to other franchisees about their experiences. Ask them: "If you had to do it over again, would you buy this franchise? Are you happy with the franchise and are you making a living?" Keep in mind that your own results will be affected by factors like your own management and location. Be aware that you're really dealing with two sellers when you buy an existing franchise. The seller (franchisee) can sell you his or her rights to the business and franchise, but only with the agreement of the franchisor (the parent company). The parent company may try to sell you a NEW one, with a significant increase in risk. Oftentimes there is a transfer fee involved and certain requirements for training before a new license agreement or franchise agreement is issued to you, the buyer. Your ongoing relationship will be with the franchisor. The franchisor, who knows more about that franchise than anyone else in the world, will have a vested financial interest in your success and they will help you to learn how to manage and operate the business successfully. So, can you follow a system and do it their way? Are you comfortable managing inside the box? Or are you drawn to colouring outside the lines? For more information on this topic, see this related post: Considering Purchasing a Franchise? Note: we updated this article August 2015 with new data.